This episode of “Latest Updates in HPV Testing” titled, A Chalkboard Approach to Updates in Cervical Cancer Screening, is provided in partnership with Omnia Education and supported by an independent educational grant from Roche Diagnostics. Here’s your faculty is Dr. EJ Mayeaux. 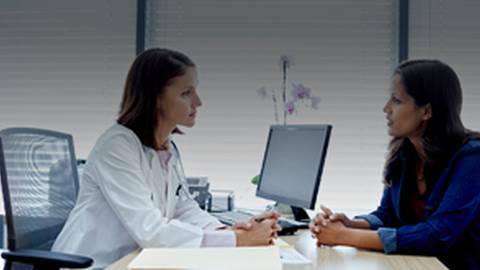 On August 21st, 2018, the U.S. Preventive Services Task Force released a final recommendation statement on cervical cancer screening. These guidelines state that women between the ages of 21 and 29 should be screened every 3 years with cervical cytology alone. For women 30 to 65 years old, there are three options: screen every 3 years with cervical cytology alone, screen every 5 years with high-risk HPV testing alone, or screen every 5 years with high-risk HPV testing in combination with cytology, known as co-testing. The guidelines also clarify that screening is not recommended for women younger than 21 or older than 65 who have had adequate prior screening. These recommendations apply to women who have a cervix, regardless of sexual history or HPV vaccination status, but not to those who have been diagnosed with a high-grade precancerous cervical lesion or cervical cancer. The task force also recommends against cervical cancer screening in women who have had a hysterectomy with removal of the cervix and who don’t have a history of a high-grade precancerous lesion, such as CIN 2 or CIN 3. Additionally, screening in women who have had cervical cancer is not recommended. And while the USPSTF makes recommendations about the effectiveness of specific preventive care services, it does not consider the costs associated with providing these services. In addition, there are other specific recommendations for various population groups which physicians should be aware of, so to learn more, please visit the USPSTF website where you’ll find the complete list of recommendations. This activity has been provided in partnership with Omnia Education. Other episodes in this series and more information can be found at ReachMD.com/HPV. Are you all caught up on the latest cervical cancer screening recommendations from the U.S. Preventive Services Task Force? In August 2018, the U.S. Preventive Services Task Force (USPSTF) released a final recommendation statement on cervical cancer screening for women of varying ages. This short animated video will tell you what you need to know about these recommendations, and how best to put them into daily practice.